Hope you are all having a lovely day. I first feel the need to start off by sharing my gratitude for the wonderful country I live in. I cannot even begin to express how blessed and grateful I am for all the men and women that put their life at risk for our freedom, words just aren’t enough but on here that is all I have LOL anyways I am so lucky to live where I am and I thank all those who have made it possible. What sort of traditions do you guys have for memorial day? I am traveling back from a wedding today so I wont be celebrating much, one thing is for sure I will be watching the bacherlorette tonight!! I know I am a girl obsessed! LOL be sure to check my INSTA TONIGHT 8 p.m. EST for a KATE SPADE GIVEAWAY. Also, in honor of memorial day Forever21 is doing a BOGO 50% 0FF sale so use promo code: BIG150OFF at check out. My favorites below. Enjoy! 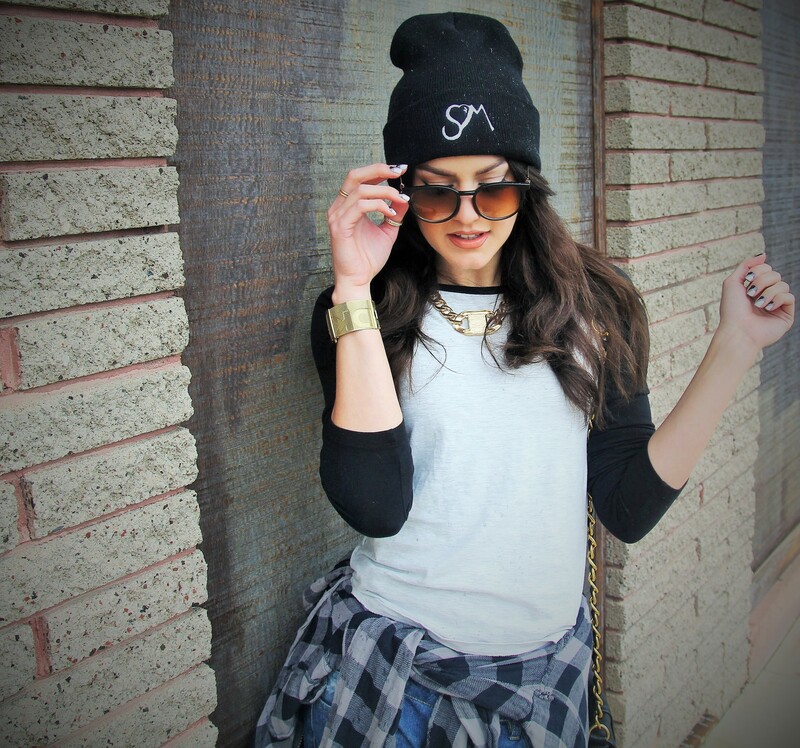 I love the baseball tee! I’ll be watching The Bachelorette tonight too! It’s like a car crash — I can’t look away! 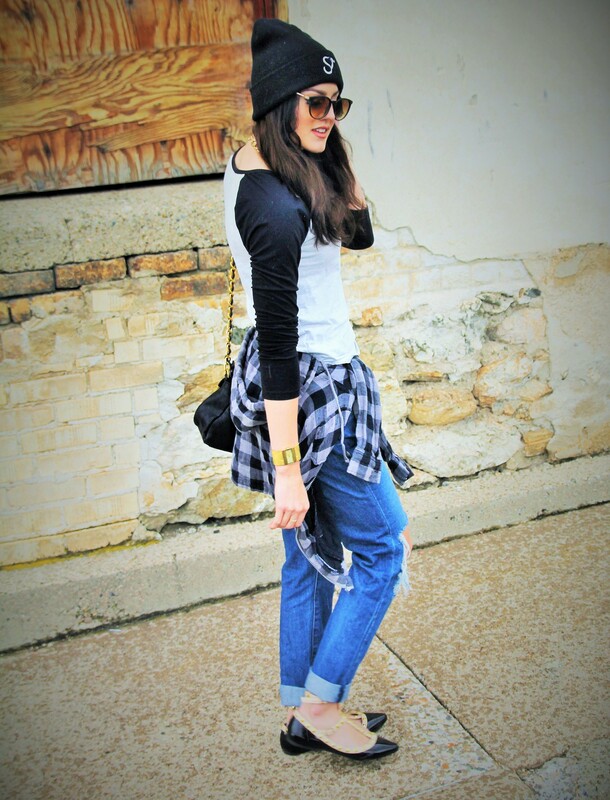 Love the boyfriend jeans, really great outfit. Love this chic and relaxed outfit, you look great. Love this look!! I am all about super distressed jeans and I love your shoes! Totally thought they were Valentino flats, these are a great dupe for them. Also loving the 90s vibe from this look. Loving your casual chic look! And those flats are super cute too! 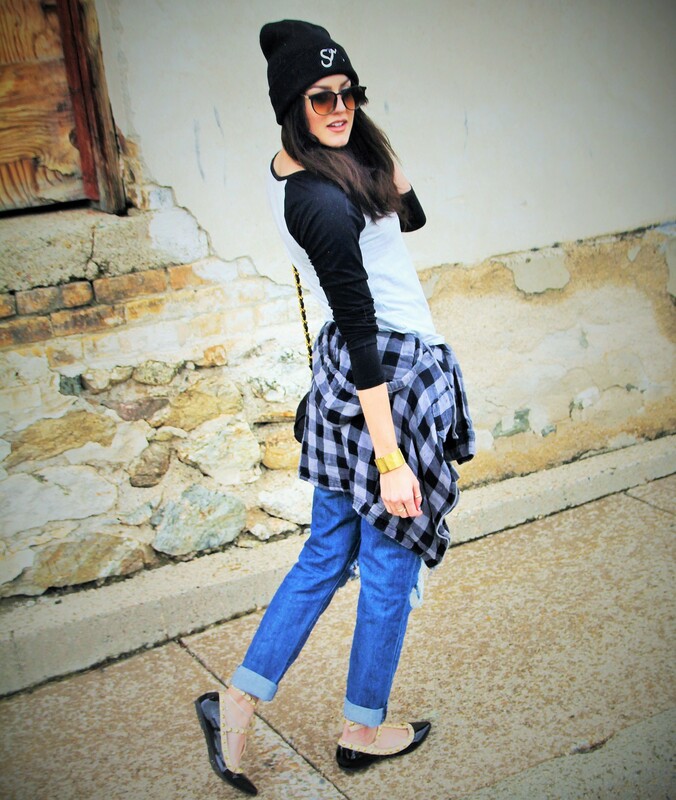 Your boyfriend jeans are beyond-cool! Love your style and your shoes! You are totally rocking this look! Love the flats! I love the color of your lipstick. 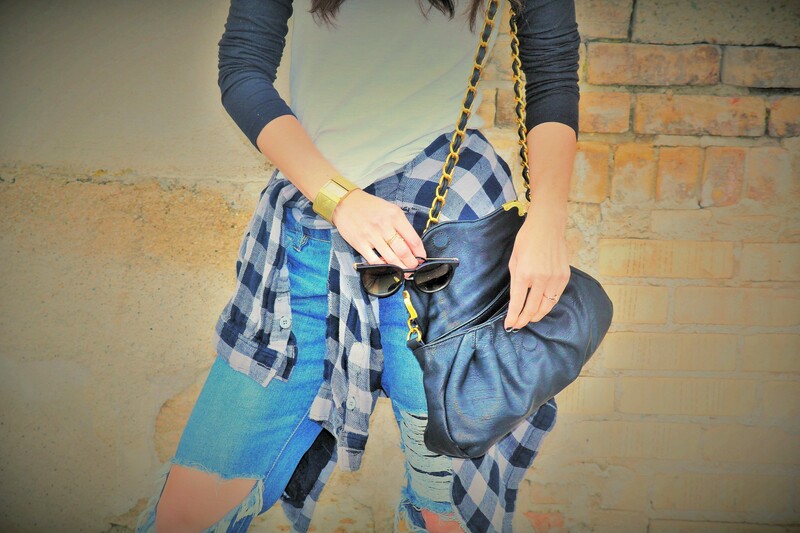 Really cute boyfriend jeans and I love the flannel tied around your waist. Super cute! Love this look! All of the layers look so good together. Love this look!! So edgy!! Another awesome look by you. This casual style is spot on! Love how you styled it. I love the jeans, so cute! This is such a cool edgy outfit. Great post! This is an awesome outfit. It reminds me SO much of Khloe Kardashian. I don’t really have any traditions for Memorial Day but just like to keep in mind how lucky and blessed I am to be safe in the country I live in!! This outfit is so edgy. I love the plaid, ripped jeans, and sunglasses all together! Love your outfit 🙂 especially the shoes 🙂 Gorgeous! You are so cool & chic, its ridiculous!! Nice outfit! Excellent for a day out. Thanks love, I know right?!? I love stylish and functional! Loves! You look fabulous!! 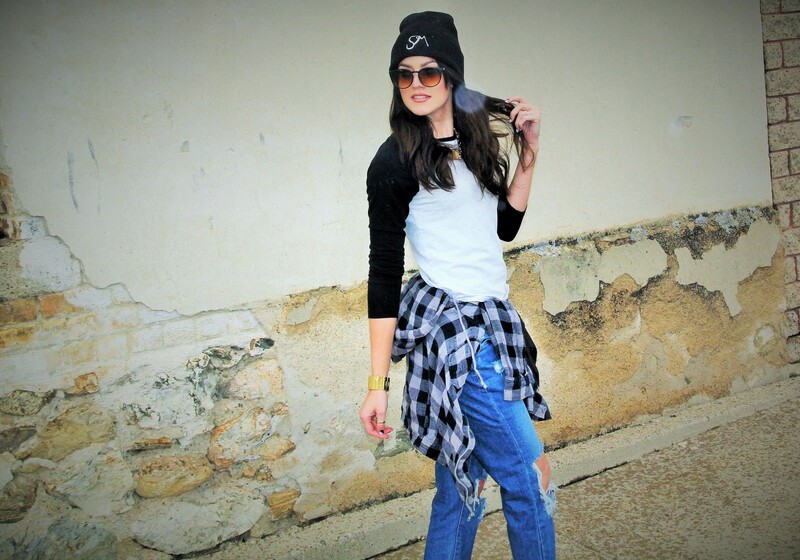 Loving this grungy chic look! Those boyfriend jeans are amazing! I love your shoes! I just got a similar pair of shoes, so I love seeing them styled for inspiration. You look great! You are so rocking this sporty chic look, love how you styled it with the glam shoes! Beautiful as always! 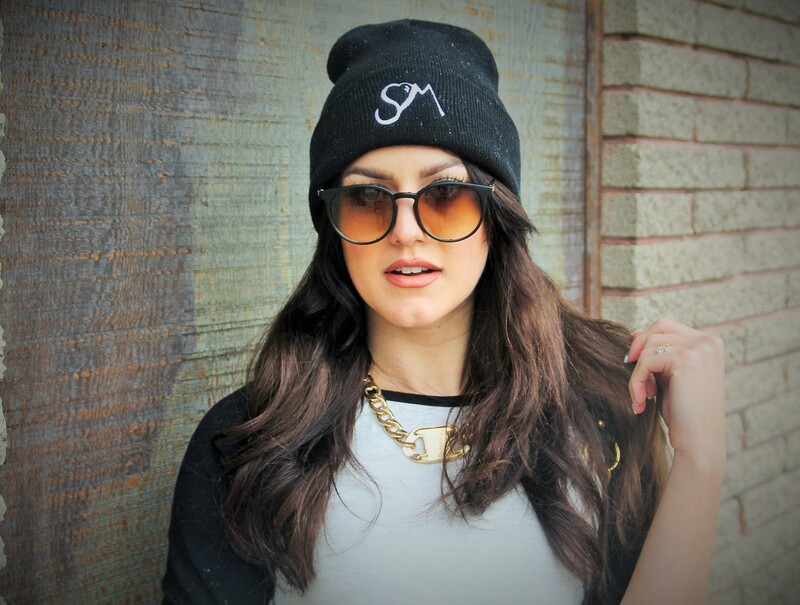 so comfortable without sacrificing style!! totally would wear this outfit! Right!?! That is what I am all about these dayzz! Thanks for stopping by babe, loves! Love these jeans on you, and the flats are too cute! Very cool and fresh relaxed look! 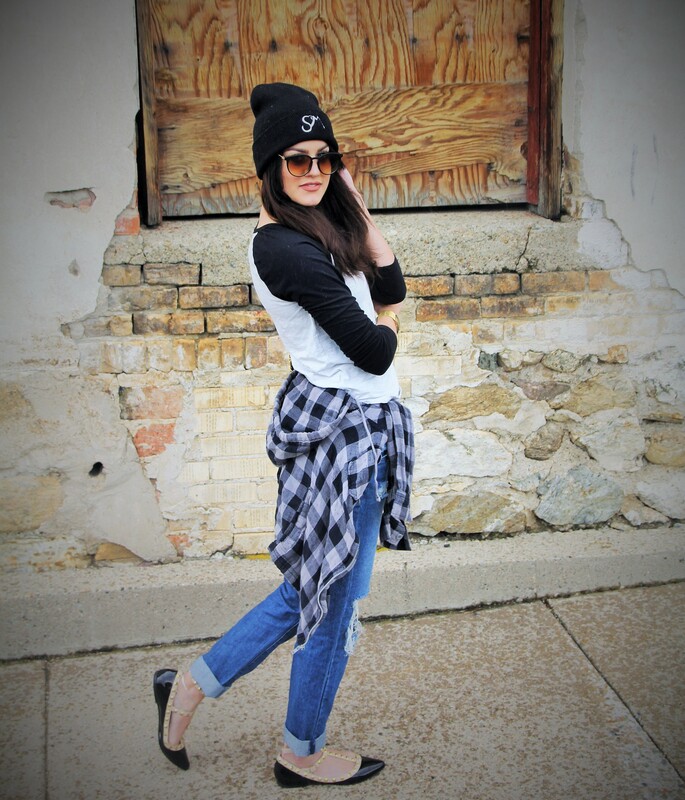 You are rocking this relaxed chic look! You look fabulous! SUch a fun chic looK! Loving this very cool, casual look.